Having sailed over 325,000 miles, 27 Atlantic crossings, Pacific crossings and 53 UK – Mediterranean trips, I feel I know how important a good watch system and full crew inclusion really is. 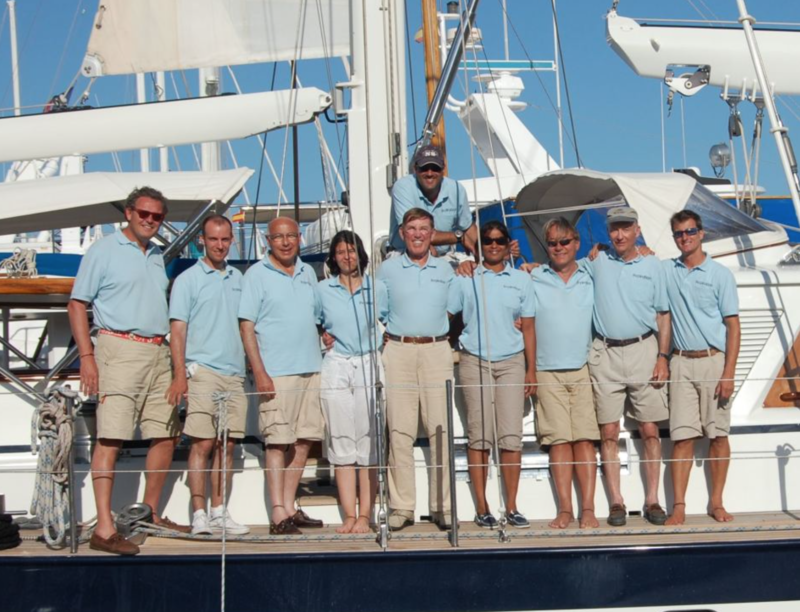 A well run yacht with good watches and crew inclusion is vital for a pleasant trip for any more than just an afternoon sail. Equally, a poorly set up watch system and lack of crew inclusion can lead to resentment, tiredness, crew feel they are not part of it, and ultimately a horrible experience for all involved. Having the correct person in charge of the yacht is the first step. This should be the person who is the most knowledgeable and experienced, without question. 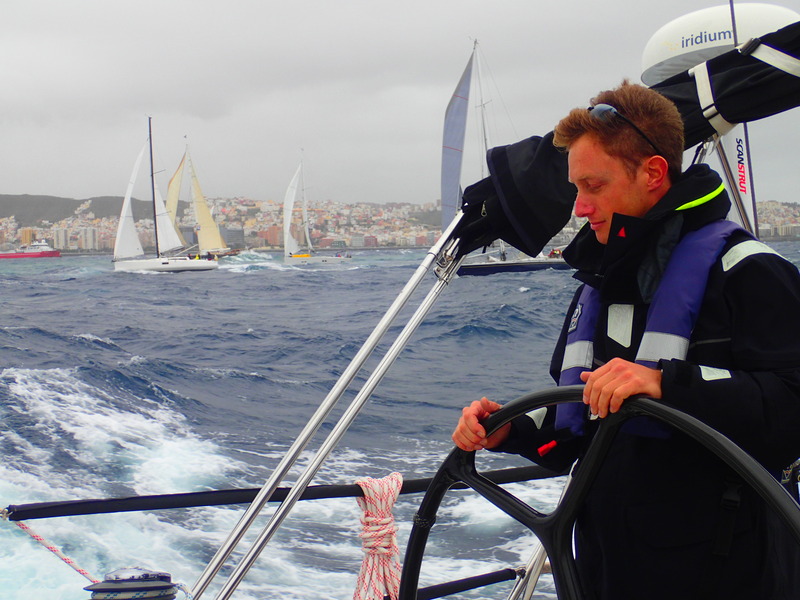 Someone with good local knowledge is very helpful, but in an advisory role to the skipper. In my experience, sleep is the most important aspect of successful passage making. Without a good watch system, there cannot be safety, sleep in its very essence is a safety measure, crew are likely to become tired and on longer trips, fatigue sets in, affecting everything that happens on board from balance (everything is moving) to important and sometimes instant decision making. On every sailing trip I make, and as part of our regime at Seaway Yacht Delivery, I will try to keep the watch system to that of our own sleeping cycles, so that when you naturally are in your lightest part of your sleep cycle, you get up for your watch. As people tend to sleep in approximately between 90 – 120 minute sleep cycles, this forms the basis of watch systems. This pattern, along with a daily routine of being on and off watch the same time each day, give us humans – creatures of habit – the routine we need. For example, a lot of our delivery trips are with 3 persons on board. My preferred watch system for this would be 8 hours on watch each, i.e. 3 hours each at night and 5 hours each during the day. Whatever the number of crew, this must be divisible by 24, then divided up into sleep cycle patterns for the night. In this example, for each night watch, the other two have 6 hours off. Also, the deemed ‘hardest’ watch of 0300-0600, this person in theory has the longest sleep before their watch at night. Watch times would be Daytime 0600 – 1100, 1100 – 1600, 1600 – 2100, then nights 2100 – 0000, 0000 – 0300, 0300 – 0600. Keeping a fixed watch routine of ‘on’ and ‘off’ watch is vital in my opinion, due to the necessities of keeping a routine and habits. We have rituals / habits for everything when you think about it; from which order you have a shower or breakfast first (everyday!) to what leg you put into your trousers first! Routines are very important. After studying psychology for a while, this habit forming made very interesting learning! Habits turn into needs and have many examples. 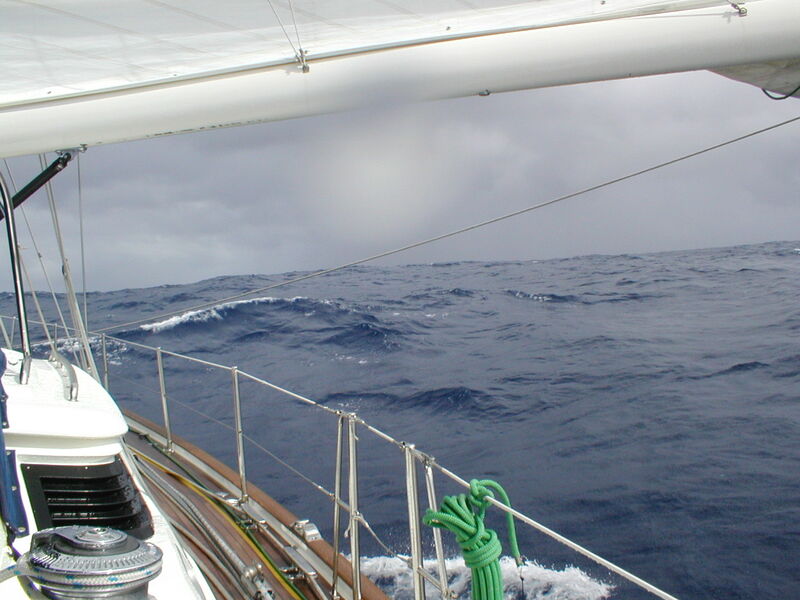 Generally the main part of a long trip is continually checking things – checking the sails for correct trim, checking the best made course, checking the wind direction and strength, checking for other vessels. We write in the log book a minimum of once per hour on a trans Atlantic, or more if something has happened such as after a reef put in / course change / something noticed onboard. Watches involve not only sailing the boat, but searching under the floor, the rigging, the sails, sheets, and so on. Every crew member is expected to do his duty of ensuring that the vessel and other sleeping crew are always safe. Almost everything can be spotted before it breaks! Every watch change we lift the main section of flooring above the bilges to check water levels, a visual check of the engine if it has been running, all gauges for the engine are checked and logged. Battery voltage, fresh water quantity, diesel quantity. Also checked at every watch change is the deck and rigging for anything untoward – split pin broken / sail stitches coming loose and so on. Everybody onboard must form the habit of doing this, not only for safety but also so they feel part of the team – especially the lesser experienced member. 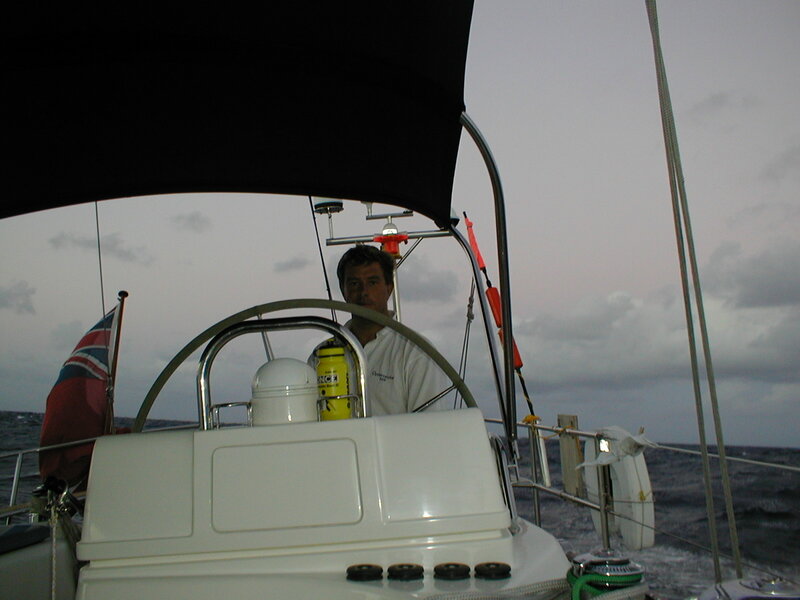 Sailing a yacht on watch, alone, in the middle of the night in the middle of the Atlantic where the ocean is 2 miles deep can be frightening to many people, and it is very important they are made to feel an equal part of the team. Daily checks is one of these tasks which helps them. 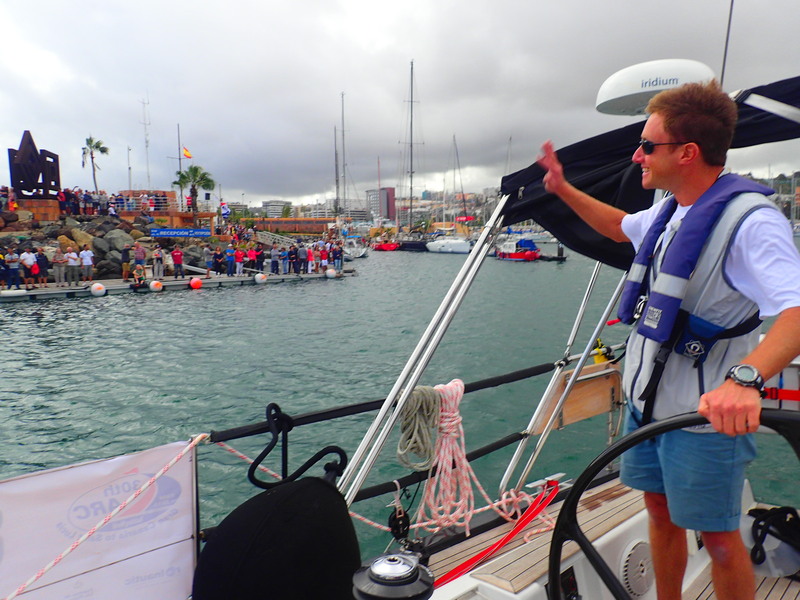 Children – I have grown up sailing and can speak from a child being onboard for long sailing trips on the families’ yacht. My first long trip was when I was 10 years old – this was when I was allowed to be part of the watch system in sailing a 24 hour trip across the North Sea to Holland. After a couple of years’ of me disagreeing with my Father – with stories such as ‘I am 8 years old now, I can do it! !’ to being 10 and in charge, to me suddenly thinking, ‘Don’t go downstairs Dad, its dark out here and rather quite scary!’ Under the very watchful eye of my Father, an absolute expert in sailing, who I’m sure never slept when I was onboard on these longer trips! 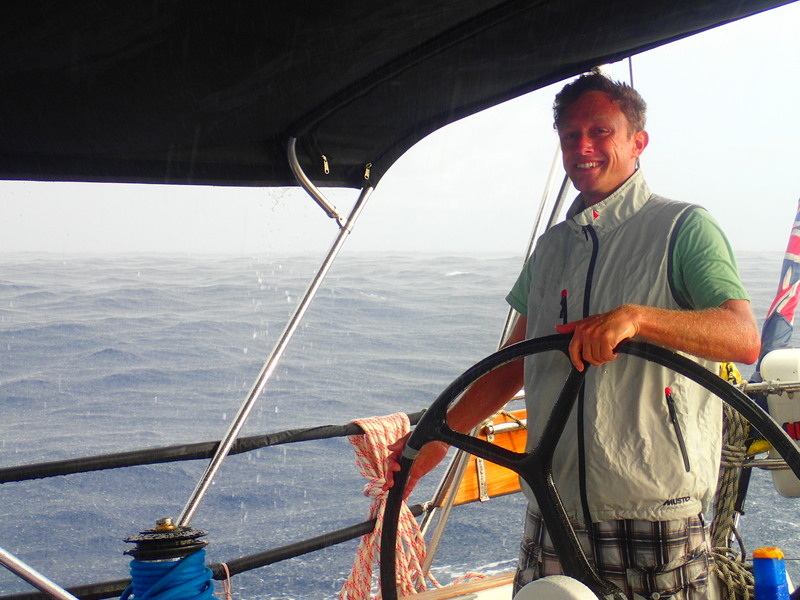 I have also been involved in teaching my clients’ children to sail – only on day trips. Keeping them active and constantly pointing things out so they don’t become bored or overwhelmed with it is a difficult balance to keep. Every little different noise on the yacht is enough to wake me, I will even know when the vessel has turned slightly by having my eyes closed in the bunk. Managing days with very little sleep seems to be fine for me, however, when I am home, after 5 minutes of a film starting, I will be fast asleep waking only when the ending credits appear! The beauty of 90 – 120 minute films! !